You Could Win $10,000 on Monday playing Swag IQ! On Monday, February 26th, Swagbucks is putting up over $10,000 that you can win playing fun trivia games! SwagIQ (available for iPhone and. Android) is a live, multiplayer trivia game show you play from your phone! Each weekday, Swag IQ broadcasts a live game. Simply tune-in at the appointed time by launching the SwagIQ app and log-in with your Swagbucks account credentials. If you don't have a Swagbucks account, you can sign up for free and then download the app! In celebration of Swagbucks's 10th Birthday, they're going to broadcast 4 shows throughout the day and give away at least $10,000! 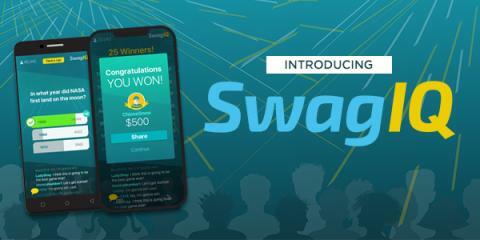 It will likely be more since the more people who sign-up via SwagIQ prior to each game, the bigger the grand prize! 1st Game Show: 1:00 PM Eastern Time/10:00 AM Pacific Time. Grand Prize: at least $1500. 2nd Game Show: 4:00 PM Eastern Time/1:00 PM Pacific Time. Grand Prize: at least $2000. Spot Farms Natural Jerky Dog Treats are Spot On! Whenever our two dogs hear the word 'treat', they both come running! The kids can get them both to do just about anything for a special treat... sit, stay, shake, up, or lay down! Some of their favorite dog treats include baby carrots, bones, biscuits, and jerky! I am fortunate enough to be a Chewy Influencer and in exchange for my honest reviews, my two spoiled pups get special food and treats, delivered right to our door, every month! 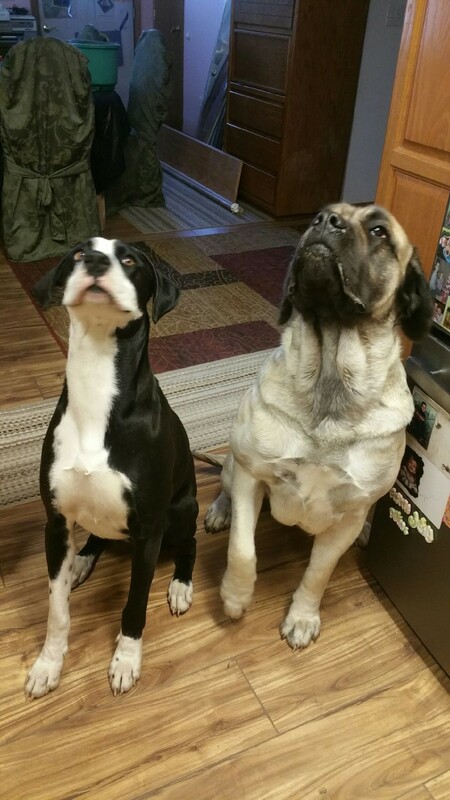 Zena (English Mastiff) and Thor (Great Dane/Mastiff) are lucky dogs! When they see the blue Chewy.com box being delivered, it's almost like they know it's for them! Spot Farms Natural Jerky Dog Treats are all-natural cuts of real meat designed to help promote your dog’s health and happiness, all with a delicious flavor your dog will love. Made with antibiotic-free, USDA-certified, all-natural meat from family farms in Kentucky. These wholesome treats contain omega 3-rich flax seeds and vitamin E-rich sunflower oil to help support your dog’s healthy skin and shiny coat. Some of the great things about Spot Farms treats is that they are nutrient-packed and delicious, and they also provide specific health benefits to your favorite pets! You can choose from hip & joint and skin & coat formulas! Make Laundry Less Work and Save up to $500 on LG! What household chore do you hate the most? Laundry is a never ending process at my house! Having a great washer & dryer is a lifesaver!! Did you know that you get the best of both worlds with LG’s TwinWash system? That's right! 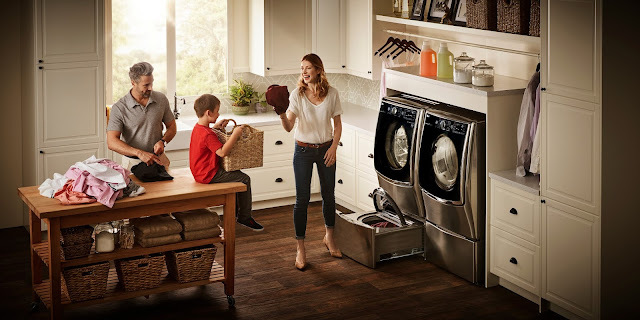 For small loads that can’t wait (the shorts and t-shirt after my son's wrestling practice or the dirty work slacks on a Sunday night) there is the LG SideKick pedestal ...washer. You can even use it simultaneously while you do a bigger load up top on your LG Front load washer. With LG’s TwinWash system, you can easily and efficiently tackle any size load and get fresh, clean clothes. No wonder more households have chosen LG laundry over any other brand! Greenies Dog Treats: Give Your Dogs Smoochable Breath! Valentine's Day isn't only for people... be sure to remember to show your furry family members how much you love them too! I am fortunate enough to be a Chewy Influencer and in exchange for my honest reviews, my two spoiled pups get special food and treats, delivered right to our door, every month! Zena (English Mastiff) and Thor (Great Dane/Mastiff) are lucky dogs, I would even go as far as saying that they are very spoiled too! When they see the blue Chewy.com box being delivered, it's almost like they know it's for them! Greenies Dental Dog Treats are sure to keep your dog happy. Zena and Thor love Greenies dog treats and give them 2 paws up! Our dogs love the taste and I love that they help keep their breath fresh and their teeth clean. Greenies dog treats are an all-natural treat that keeps on giving! 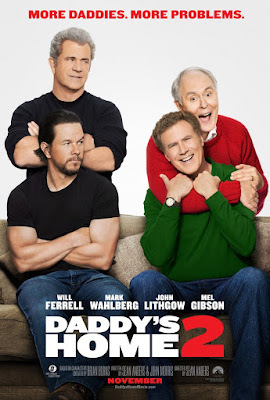 Daddy's Home 2: Laugh Out Loud, Family Fun! Family... they make us who we are! I think we can all agree on that. Am I right? My family and I couldn't wait to see Daddy's Home 2 the moment we saw the previews. We had seen Daddy's Home and loved it, so I jumped at the chance to receive Daddy's Home 2 to watch at home with my family in exchange for sharing my thoughts with all of you. My husband, son (17), daughter (14) and I all loved Daddy's Home 2 as much as we did the original. Often times the sequel doesn't "hold up" to the original, but that was not the case with this one! We were laughing throughout the entire movie! Share the Love on Valentine's Day with Oriental Trading! Get ready for Valentine's Day with affordably adorable gifts, party favors, supplies and more from the Oriental Trading Gift Shop. 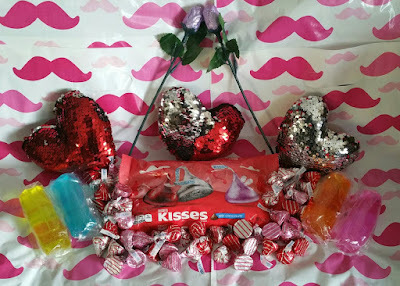 If you are having a Valentine's party, are in charge of a classroom party, or are making goodie bags for all of your teen daughter's friends... you'll find everything you need to make the "day of love" perfect! Pink, red, white, silver, and glitter... all of my favorite Valentine's Day colors!